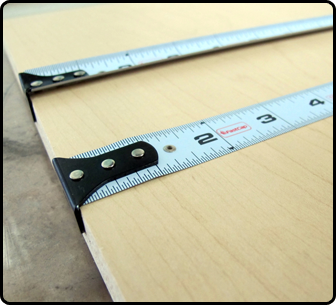 Face it, not all surfaces are flat! 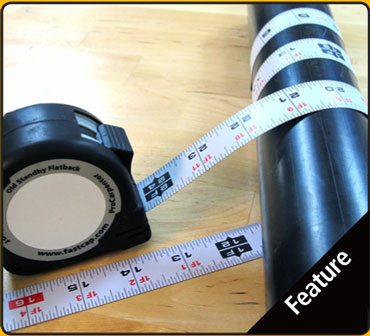 The ProCarpenter FlatBack is a flexible tape for measuring curves and flat panels with precision and ease. 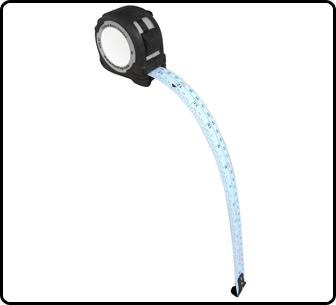 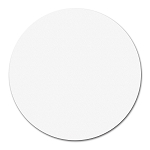 Available in a Standard Story Pole, Metric/Standard, Metric Reverse and Old Standby blade styles. 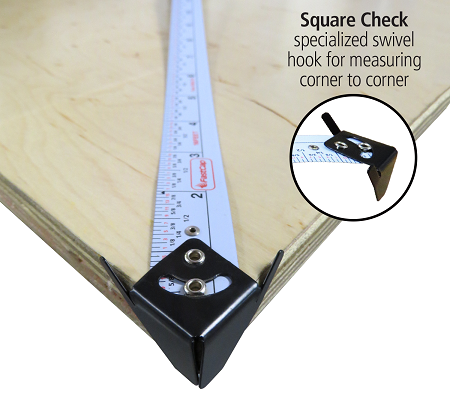 Square Check includes a specialized swivel hook for measuring corner to corner.